Though Eversonic had it yesterday (and we pointed in their direction for those who couldn’t wait), as a Thanksgiving treat we wanted to give you even more from the media blitz of that ASR playtest Sega France had last month, which we brought you first in English on TSSZ. In addition to the various sets of screenshots we were able to show you with Fox Gungrave’s help–he was there, after all–some more sets of character art were released. Some are new (or at least look new), like that of Ryo or even Eggman. Some are older, like the ones of AiAi and Sonic contained within. But all of them are in a pretty good resolution, and they are available for you to download. In addition, we have a couple environment renders from the event. You may have seen these in some of the scans, but they were never available clean, until now. The environments are Jumble Jungle from Super Monkey Ball and Blizzard Castle from Billy Hatcher and the Giant Egg. We hope you enjoy the artwork. 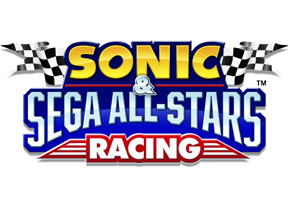 Consider it a nice complement to the Thanksgiving holiday, but remember–our coverage of Sonic & Sega All-Stars Racing will continue right through to the game’s release.